Robert Redford Did It....Would You? 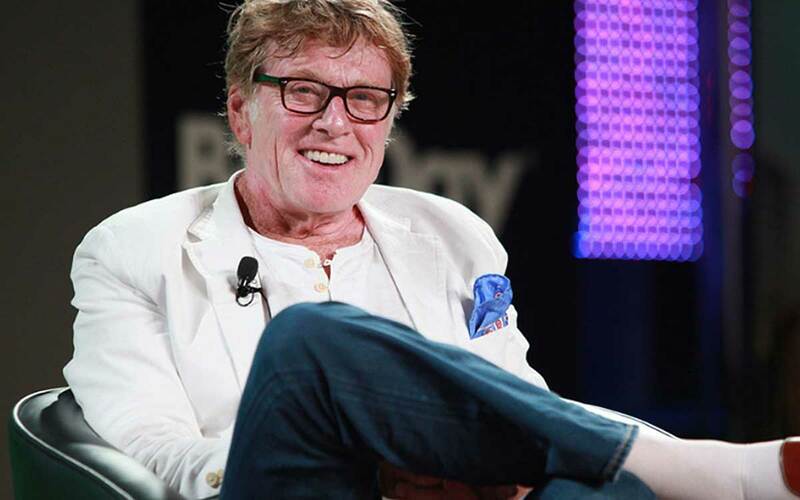 Robert Redford Did It….Would You? Robert Redford did a lot of exciting things in his career including his own stunts (something we don’t recommend). But there’s one thing he did that you might want to strongly consider, especially if you have hearing loss. That’s getting hearing aids and wearing them. His success as an actor and later as a public figure over the past 20 years wouldn’t have been possible without them. He’s not the only one. Check out these 8 celebrities you probably didn’t know wear hearing aids. Huey Lewis of the 80’s band Huey Lewis & the News recently discovered he can’t hear music as well as he once did. While language and other sounds remain clear, he can’t hear those sounds musical artists need to to find or stay in pitch. The 68-year-old musician expressed overwhelming dismay as it forced him to cancel his 2018 tour. He’s recently been fitted with a technologically-advanced hearing aid that addresses his specific low-frequency hearing loss. He plans to be at it again soon, doing what he loves. The American Actress played a mute woman in the award-winning Hollywood film The Piano. While she wasn’t mute in real life, she has been deaf in her left ear since she was a child when she had the mumps. She’s chosen to wear a hearing aid because it helps her stay active and continue to work. Another celebrity who got hearing loss from the mumps was Rob Lowe, of the 80’s brat pack film St. Elmo’s Fire and more recently in the TV show Parks & Recreation. He’s had a long and successful career while wearing his hearing aids. This Oscar-winning actress and comedian has an impressive professional portfolio as both a leading lady and in supporting roles. From The Color Purple to Jumping Jack Flash to Star Trek to Lion King to The View, she’s been a constant figure in TV and movies over the past 3 plus decades. Whoopi also just happens to have low-frequency hearing loss, which she developed at a young age and attributes to years of listening to loud music. Her form of hearing impairment makes it difficult to hear low pitch voices and sounds. She wears small behind the ear hearing aids with a little tube that slides into the ear canal. Robert Redford, 78, was fortunate to have great hearing at an age when over 50% of people have disabling hearing loss. But sadly during the 2013 filming of All Is Lost, he chose to do his own stunts. These included repeated submersion in water and being sprayed by a water cannon. He developed an ear infection that caused 60% loss of hearing. Faced with this prognosis, Redford chose to get hearing aids. Former Seattle Seahawks’ player Derrick Coleman was diagnosed with hearing loss at the age of 3. He wore hearing aids as a child and still wears them today when off the field. On the field, he’s learned how to maneuver the game of football by reading lips and body movements. Impressive! This year the running back continues his successful NFL career playing with the Arizona Cardinals. William Shatner is most famous for his role as Captain Kirk in the original Star Trek series. He and his co-star Leonard Nimoy, the actor who played Commander Spock both experienced a devastating event while shooting the show. A pyrotechnics accident led to an explosion to which both men were exposed. After the event, Shatner slowly developed debilitating tinnitus (ringing in the ear). It made it hard to live life and impossible to work. Today he uses hearing aids. They include a device that helps retrain the brain not to hear the sound. He attributes his ability to continue to act to that device. President Bill Clinton certainly loves to play the Saxophone. He attributes his hearing loss to his love for loud music. When he found that hearing loss was impacting his ability to communicate with family and White House staff, he made the smart decision to get in-the-canal hearing aids. He’s worn them ever since. And they’ve helped him maintain an active career and lifestyle.